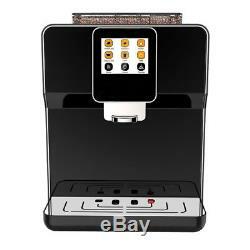 Buona Mattina Fully Automatic Espresso, Cappuccino and Latte Coffee Machine with Automatic Bean Grinder and Milk Frother. 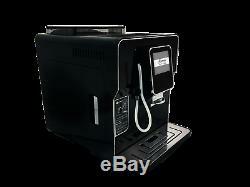 Convenient automatic espresso machine for home grinds coffee beans to your distinct liking for only the freshest taste. 30-Day No Hassle Trial Period, if you're not completely satisfied with your Buona Mattina. 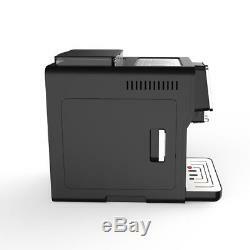 Compact design with Energy-Saving Mode and convenient stainless steel heating plate. Frother creates a rich and fluffy foam to top off your cappuccinos or lattes to perfection. Use coffee grounds to bypass beans for a decaffeinated or specialty flavored coffee. Promotional Video: Buona Mattina Overview. Your automatic espresso machine, this coffee maker with grinder is about to surpass your expectations. Introducing the Buona Mattina ARC700 Single Cup Coffee Brewing Station - your answer to mid-afternoon coffee cravings at work. No longer will you have to spend valuable break time waiting in line to get your triple soy latte with whip, you can now simply walk down the hall to your break room and brew your favorite cafe drink with time to get caught up on your favorite book. If you are not completely satisfied with your Buona Mattina ARC700, you can return it within 30 days with our NO HASSLE Trial Period. Bring the coffee shop right to your break room. 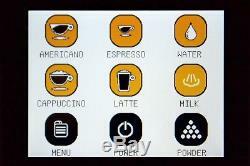 With a simple touch on the LCD, you can brew: espresso, Americano, cappuccino, latte, or even get hot water for your favorite tea. To achieve coffee shop tasting coffee, the Buona Mattina ARC700 coffee maker pushes hotter water at a greater pressure through freshly pressed coffee grounds. This brewing process leads to a less bitter coffee that has a crisper and more satisfying taste. And you'll soon say "Buona Mattina" in the office, which is Italian for "Good Morning"! What makes the Buona Mattina ARC700 great for the office, is the cost savings of not having to stock up on expensive single-serve coffee pods. Just load up the ARC700 with the office's preferred coffee bean and get ready to brew your favorite coffee in no time. We all know that one co-worker who only drinks decaffeinated coffee, but don't worry, the rest of the office will not suffer. 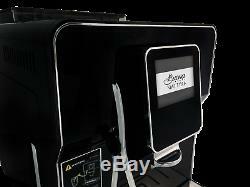 The Buona Mattina ARC700 has a coffee grounds bypass that can be utilized for decaffeinated coffee aficionados. Hope you will enjoy your time by using the automatic espresso machine for home, it is easy to clean and quick and save your time. 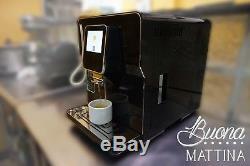 Buona Mattina Fully Automatic Espresso, Cappuccino, Latte, Coffee Machine. It is the quickest, easiest, and the most secure way to pay for your goods or services online. Great Tasting Coffee Bring the coffee shop right to your break room. Bueno Mattina Fully Automatic Espresso, Cappuccino, Latte, Coffee Machine. 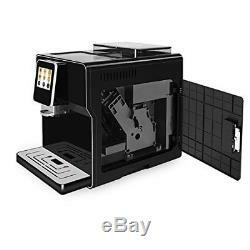 The item "Buona Mattina Fully Automatic Espresso, Cappuccino, Latte, Coffee Machine" is in sale since Tuesday, December 5, 2017. This item is in the category "Home & Garden\Kitchen, Dining & Bar\Small Kitchen Appliances\Coffee, Tea & Espresso Makers\Espresso & Cappuccino Machines".	" and is located in Odessa, Florida. This item can be shipped to United States.